Hours of the Campus Libraries. 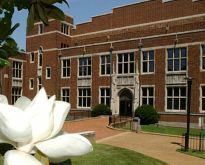 Request loans or copies of materials that are not available at Vanderbilt. In general, loans take one to two weeks to arrive, but delivery times vary. Articles are delivered electronically and typically arrive within a week. There is no charge for this service. Use this service when you need assistance with library resources or services or if you wish to schedule a research consultation with a subject librarian. This guide has been designed to introduce you to some of the resources available in Jewish Studies at the Central Library. Please feel free to contact me if you need additional help with your research. Max Kade Center for European and German Studies.